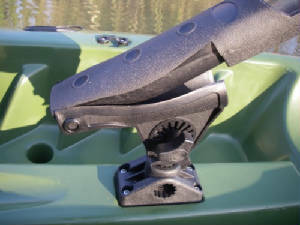 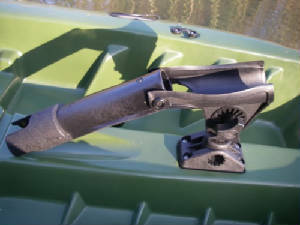 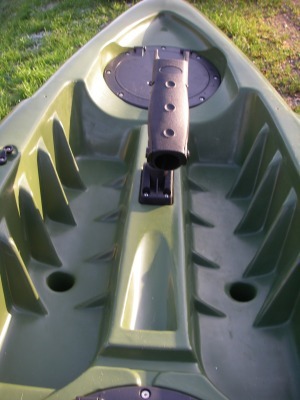 this rod holder currently comes with the Mazzif fisha kayak but it will be available here in the uk very soon . 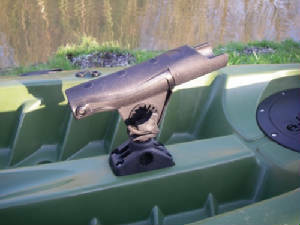 why is it different well its got a break away rear pin system which allows the fod holder to fall back when you strike in to a fish without having to first move the rod but forward out of the holder . 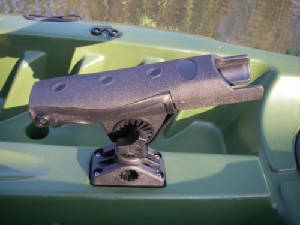 On the strike the whole top part just swivels backward and falls away from the rod .